The Scorpion-3 hoverbike is the first tested manned quadcopter revealed by Hoversurf, a Russian drone startup. Having a quadcopter-drone technology and a design inspired by a compact dirt bike, the hoverbike can “surf through the air” with a pilot onboard. 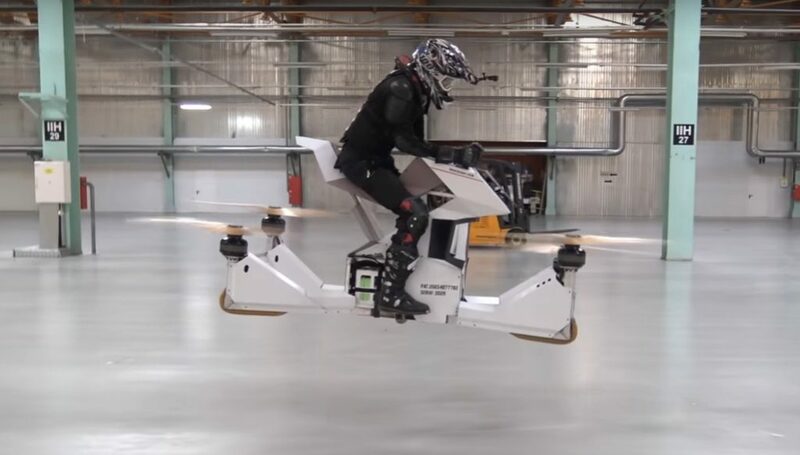 The Scorpion-3 hoverbike allows professionals and amateurs to pilot the hoverbike because of its software which ensures the pilot to have control and safety on the hoverbike. It is powered by electricity and can offer potential transportation options. With the “taxi drone” in Dubai and the Aero-X, which is “a hovercraft which rides like a motorcycle”, being developed for aerial transportation at present, Hoversurf intended the Scorpion-3 to be used for extreme sports. Want to know more about this awesome vehicle? Follow this Link!